Aaron-Carl Producer, Remixer, Singer/Songwriter, DJ… It is a task Aaron-Carl has done consistently since 1996. As one of Detroit's most in-demand producers & sought-after remixers, his signature sound crosses genres -- from soulful, gospel-infused House, to the dirtiest ghettotech anthems. Armed with little more than a cheap keyboard & a four-track cassette tape recorder, Aaron-Carl proved early on that he could hold his own in Detroit's Electronic Music Scene. When a demo tape landed into the hands of Underground Resistance's "Mad" Mike Banks, Aaron was quickly signed to Banks' Soul City record label. Even then, Aaron refused to be boxed into one genre. His first two records were released at the same time: "Crucified," a soulful deep house vocal, and "Wash It," a cheeky underground club banger. While both records received great critical acclaim, it was "Down" (an explicit electro-house track on the B-side of "Wash It") that became -- and remains one of Aaron's biggest records to date. Ron Murphy (NSC Mastering) and "Mad" Mike Banks were strong mentors during that time. "It wasn't enough for me to write great songs," Aaron says. "They taught me how to make great RECORDS…" Aaron compares their guidance to boot camp. "They saw my potential, and wouldn't accept anything less than my best." He describes, "Mike held meetings with all the producers on the label. He'd play the hottest tracks at the time, and would challenge us to go home and do better." 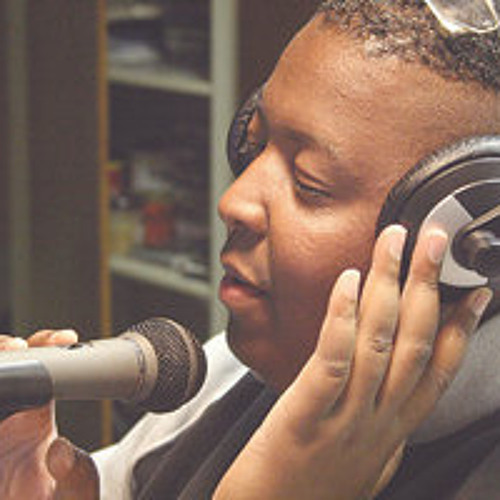 When the opportunity came to remix label mate Theresa Stringer's "Round and Round" single, Aaron jumped at the chance. Though it was very first official remix, it earned Aaron a reputation for what has become his trademark "Wallshaker" beats. Aaron-Carl launched his own Wallshaker imprint in 1998 - named after his final 12-inch on Soul City. "Closer" - Aaron's first Wallshaker project, was licensed by Whirling Records (US), but was never released. His third single, "My House," caught the attention of Philadelphia house label, Ovum Recordings. The song got licensed and went on to become Aaron's first Billboard Top 40 Dance/Club hit. Cementing his powerhouse status in Detroit Electronic Music, Aaron-Carl has remixed some of the Motor City's biggest artists, like Underground Resistance, SCAN 7, Kelli Hand & AUX 88. He has also remixed International artists like Chicago House legend Dajae, Icelandic techno stars Gus Gus, and African jazz great Manu Dibango, to name a few. Aaron's productions have graced various labels throughout the world, including Subject Detroit, Metroplex, Kompakt, Sirkus and Universal France. He has also been remixed by some of the industry's top producers, like Ewan Pearson, Doc Martin and Grammy award winner Peter Rauhofer (Club 69). Two of Aaron's deep house tracks -- "Sky" (a tribute to his late father) and "Oasis" are featured in the internationally acclaimed House music documentary, "Maestro" by Josell Ramos. Aaron also holds his own within the Hip Hop community -- particularly among the LGBT Hip Hop circles. Most notably producing hits for legendary rapper Johnny Dangerous, his remix of the infamous "Topsy Turvy" - in which he makes a cameo appearance -- is featured in the Alex Hinton documentary, "Pick up the Mic." Owning and overseeing the successful Wallshaker Music label plus heading his own music publishing company, Symphonic Storm Music Publishing, Aaron-Carl proves himself as a definite force to be reckoned with - and shows no signs of slowing down. Aaron-Carl is currently the host of weekly Internet Radio Show, THE W.A.R.M.T.H. SESSIONS, Fridays @ 7PM EST on WARMTH313.COM.